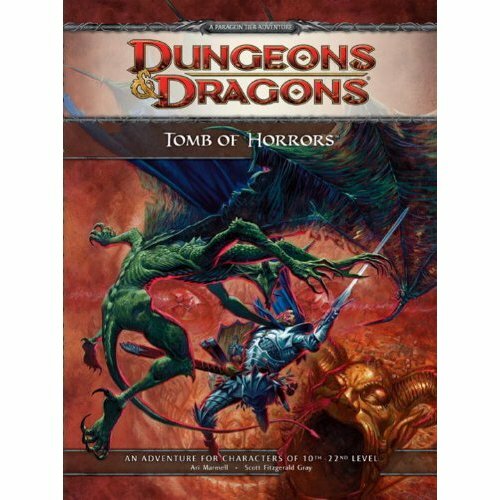 Can you believe is was almost a year ago now that Tomb of Horrors arrived in my mailbox? To date, we have finished the first chapter, had a joint campaign and started an online campaign (which is still stuck in the first dungeon). And now, as of a few weeks ago, we have started the second part. This is slightly overwhelming as I was expecting to sit on part II for a little while longer. But as they seem to be eager there is no reason to disuade them. As of this post, they’re currently in the third dungeon, having gotten through the first dungeon in a single session. I have to admit that I haven’t played the original, but I do have a lot of respect for the module and for it’s original purpose. Despite the misconceptions as a killer dungeon (which it totally is, but that’s beside the point), it is primarily a game for DMs to test the thinking and ingeunity of their players. Not just to get out of the various traps and hazards without dying, but to do so without preconceptions. As well as remembering to ask the right questions and not just be lazy and accept what the DM is telling them at face value. There’s a reason my favourite room in this module is the false tomb. But Bruce R. Cordell’s Return to the Tomb of Horrors changed that. It puts the original module, nothing altered whatsoever, right in the middle of a compelling and challenging campaign. Cordell puts the Tomb itself and all the stories behind it firmly within the mythology of the Greyhawk campaign setting. And there’s more, as Cordell adds something that was rather lacking in the original module: plot. The plot is expansive in terms of scope and distance, I counted at least four dungeons in may last read-though and Cordell delves into backstory. Not just Acererak’s backstory but that of the Tomb itself and the various adventurers who would…venture in their and get horrible killed, or worse. And the campaign ends not in the Tomb, but elsewhere, with a final showdown with Acererak which leads us to the present day. I brought this all up for a reason, as the lore from Return has a lot to do with where our campaign is at the moment. They are currently in the third dungeon of the module (and there are more after this) where Return ended. And not just that, but the outcome of Return (which assumes 100% completion) determines the start of the third part. And this is what the “transition session” in our campaign world city of Nia was centred on. From this point in time, it is assumed that not only the Tomb of Horrors once existed, but a group of adventurers went there and defeated Acererak for good. But what exactly happened remains to be seen, as it happened hundreds of years ago and no one is really talking about it. I will say this to my players: you will find no answers in Return, though I will continue to scare you with stats from there as long as you are able to read them. 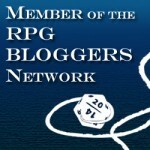 And to other DMs, I encourage you to look at the series holistically. As while there are many things that I admire in the third incarnation, it is merely the pieces of a campaign that a good DM needs to assemble with the input of their players. ~ by katanageldar on August 16, 2011. All I can say is thank the Raven Queen that someone had ‘Turn Undead’ for use in Moil. Taking out half a room of undead in a surprise round? Now that was awesome!